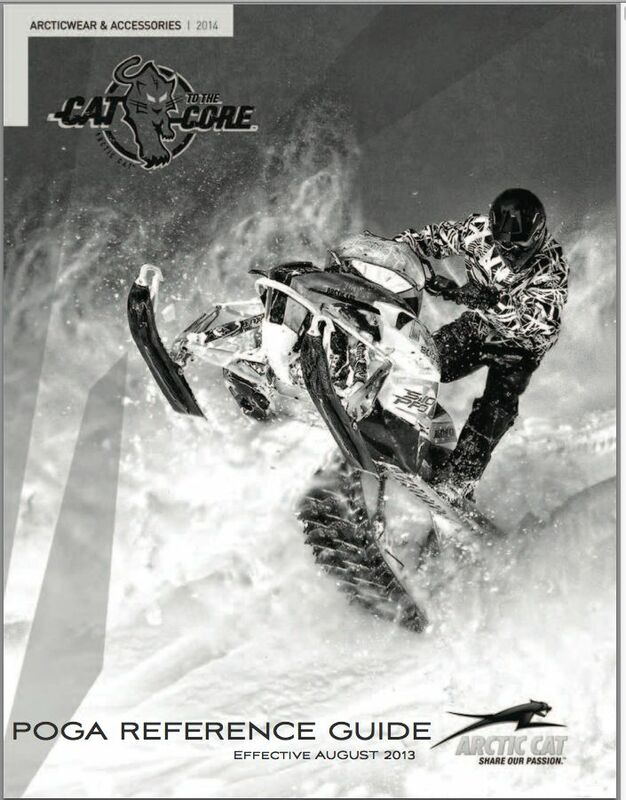 Arctic Cat just released their 2014 Accessory Reference Guide for snowmobiles. The reference guide features updated/new products (as well as older products for previous generation snowmobiles) not featured in the color accessory catalog. CLICK HERE to download the PDF. The guide is 3.3MB, so the download takes a moment. It's nice they have "clutch guard" UPGRADES vs clutching UPDATES. Ho-Hum.... Off to the testing fields I come snowfall. (One of the main figures at IEM (Woody's Traction Products) has very little faith in the OEM engineering dept as well), lol! Seems Cat wasn't thinking of replacing his belt guard when his belt blew under wty. It took him mentioning to them that "they were implying he were to ride without a guard". ????????? Where is their head at these days?